Trios have always been contentious in the musical landscape. They live or die by their simplicity and ease of format; all the members do more of the heavy lifting in the music and are much more prominent live. You can hear every little thing and every nuance when you hear a trio, and that contributes to that unmistakable sound that brought about famous proponents of the format like Nirvana, the Bee Gees and the Brad Mehldau Trio. 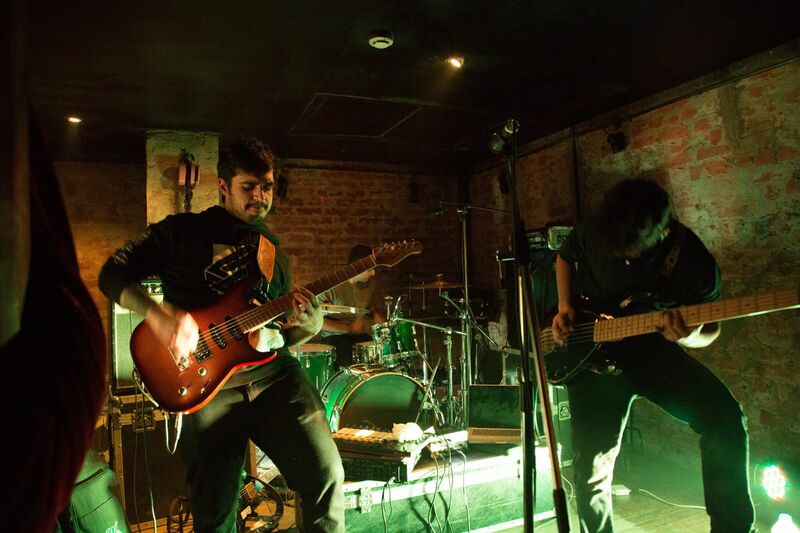 Ioish, a prog/post-rock flavoured mostly instrumental outfit from Delhi, is not bothered by any of these notions. They go for the exact opposite of stripped back on their new EP ‘Reconstructing Dreams’, and what they come up with is layered, dense, often grand and sounds like way more people than three. Anyhow, the personnel involved in this project are guitarist Vaibhav Bhutani, bassist Abhinav Chaudhary and drummer Anshul Lall. The individual sound and performances of these elements are magnified on the EP due to the 3-piece setup; the bass is especially twangy and expressive. The drums (while being a bit over-compressed for some tastes) are precise and groovy, and take up a lot of low-end space in the mix. The guitars are especially expressive, but what is interesting about the music on offer here is these three instruments don’t carry entire songs on their back; the usual trio sound is conspicuous by its absence. Instead, they support each other and often just provide a backbone for a huge amount of augmented sounds and instrumentation. There are all sorts of other melodic components to the EP; there are huge strings, glassy lead guitars, and tons of ambience. The first minute of the song ‘1313’ takes this concept even further as it ignores the instrumentation entirely, favouring synthetic sounds and sequenced electronic percussion to sustain interest until the band comes in with a characteristically groovy clean riff. Ioish pushes the envelope of what a basic band setup can do and the artistic decisions it can take. The songs themselves (seven in number) try and sometimes succeed in expanding their musical palate. The idea here to make every payoff count; every new instruments brings a new hook, a new melody to a song. Opener ‘Cry Havoc’ is a stuttering start to the EP; the first minute or so are foley sounds of what seems to be a train, a car door, a shuffling walk and a drink with ice cubes in it. Without context, it’s slightly awkward to force a narrative onto the listener from the get-go, but what comes next is a complete bolt from the blue. The silence is punctured by a massive, crunchy riff that has awesome, epic Mastodon vibes. The screeching leads are supported by pounding 4/4 drums and chugging rhythm guitars; by the time you’re getting into a rigorous neck workout, however, the track peters out into ambience. It is short, but the impact is very high; this track will ensure that the EP can be listened to repeatedly without getting boring. That first fill and riff are some of the most exciting moments on the entire thing. The band completely switches is up on the next (long) track ‘When The Dogs Define Her’. All the heavy guitars and drums are gone; instead there are ominous but beautiful strings and a harp-sounding melody shyly peeking out through it. It’s utterly beautiful and can fit in any video game soundtrack; when the trumpets and cellos take centerstage for a few bars at a time, the resolution is superb. Eventually, huge booming electronic drums and are added to the mix. The song shifts into a more electronic, synthetic interlude before the band jumps in with clean, ambient guitars supplying melody. The transitions are exhilarating and would leave the listener reeling (in a good way), but the last few minutes of the track undo the good work before it in a way; the cheesy lead guitar lines and the sort-of-proggy riffs that finish the track feel glued on and alien to all the beautiful symphonic material that kicked off the song. But it is performed well and sounds good enough to only be a fairly minor problem. The rest of the EP basically builds on ideas presented in these first two tracks. ‘Unsung’ is a pretty catchy and emotional four-on-the-floor piano interlude, featuring nothing but a woolly bass drum and a driving piano melody. Revenant expands on the delayed and modulated guitars and background strings. The rhythm section on this song in worth remarking upon; the quiet, cross-stick groove supports the equally restrained bass guitar well, but both stay out the mix enough to let the aforementioned guitar and string section take the spotlight. ‘Flatline’ (with reedy, half-whispered vocals by Arsh Sharma) shows the band trying to fit their wide sound into a rigid structure, possibly to its detriment. The performances are fine and the bassline that starts the song is great, but maybe the band shines a lot more when they give themselves time and flexibility to build up their songs. And that is exactly what they do on ‘1313’ and awesome closer ‘Breathe’. ‘1313’ contains the most measured and effective buildup on the EP; electronic textures give way to clean, dense guitars which culminate in a distorted crescendo with huge grooves and growling bass. The piano and lead guitars play supporting roles to great effect as well. ‘Breathe’ is standard post-rock fare but executed superbly; the moving, sweet lead melodies, the big ol’strings in the background and the groovy, repetitive drums are there on full display; it’s a good closer and showcases that the band are good at the emotional, Mogwai-end of the post-rock spectrum as well. In today’s scene, it is interesting and rewarding to see a band such as Ioish try to innovate beyond the restrictions of their genre and their limited resources. 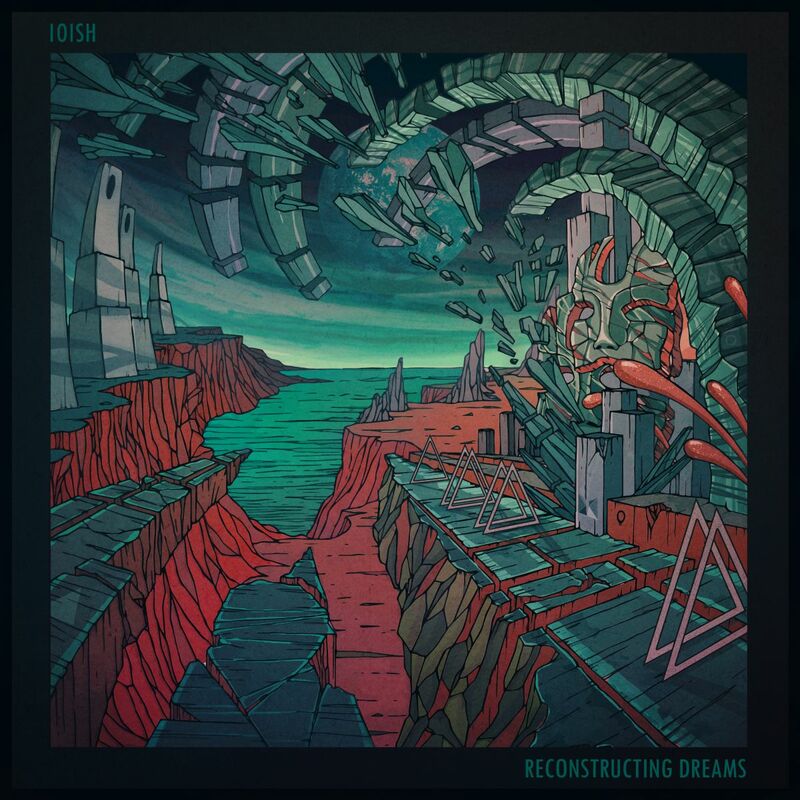 ‘Reconstructing Dreams’ represents a commendable effort to do a lot musically and make the 3-piece band setup play as much of a supporting role in the music as a main one. Even though there are times when the band possibly ventures too far into over-composition territory, when they do get it right, it’s fresh and well worth diving into.